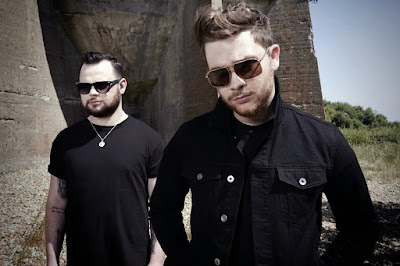 UK rockers Royal Blood are premiering a new single, “Where Are You Now?”, ahead of its debut this weekend on HBO’s 1970s music industry drama series Vinyl. The duo of bassist/singer Mike Kerr and drummer Ben Thatcher were reportedly inspired to write the song after seeing the first trailer for the Mick Jagger/Martin Scorsese produced program. "Hearing Richie Finestra talk about the first time you heard a song that made your hairs on the back of your neck stand up or made you wanna dance or kick someone's arse," Kerr tells Noisey. "I just wanted to write a song that gave me that sort of buzz." Royal Blood have been off the road since wrapping up a world tour in support of their 2014 self-titled debut album last fall. Upon its release, the project entered the UK charts at No. 1 on its way to becoming the fastest-selling British rock debut album in the UK in three years.